Ashe has blasted onto the scene with the energy and force of a supernova. Blending bright electronica with plinking piano melodies and the sunny timbre of her voice, the California-native has crafted a signature style that has already caught the attention of countless fans and critics alike. After releasing standout track "Choirs" back in May, we are excited to introduce you to her debut EP The Rabbit Hole. The EP has 7-songs that will perfectly soundtrack all whimsy and fun of your summer plans. Ashe Announces New EP 'The Rabbit Hole' and Release's Single "Choirs"
Coming off an amazing 2017, Ashe kicks off her 2018 with the announcement of her debut EP "The Rabbit Hole" which is due out June 22nd. Along with the announcement of the EP, she released the first single of the project, "Choirs" which came with an official video as well. The track is about embracing your weirdness and overcoming the voices (or choirs) in your head that try to stop you from being yourself. So, were you able to catch Ashe on Last Call with Carson Daly last week? If your answer is no, we recommend you change that immediately! The powerhouse artist put on a stunning show, performing an angelic, otherworldly rendition of her hit "Girl Who Cried Wolf" under kaleidoscopic lights. Ashe released her new single "Girl Who Cried Wolf" on Friday and performed it for the Vevo dscvr Artists to Watch 2018 series. The series features 20 artists set to breakout in the next year and Ashe closed out the first week with the performance, which you can watch here. Ashe and Louis the Child Collab on "Right To It"
Ashe and EDM duo Louis the Child blend their styles seamlessly on their new track "Right To It." The song was released today and is not the first time the artists have collaborated. They worked together earlier this year on the more mellow track "World On Fire". Now, they've turned up the notch and we're loving it. Ashe "Used to It" Music Video Out Now! Ashe's debut original track "Used To It" has been brought to life on film. The music video, which premiered today on Milk, was shot on 16mm film in partnership with Kodak by Director/DP Stefan Weinberger. Enjoy! Ashe has officially released a remix package for her debut song “Used To It.” The remix package includes versions of the track from friends Aire Atlantica, Jorgen Odegard, and MIG50. We have no doubt: these songs will keep you dancing throughout the rest of summer! 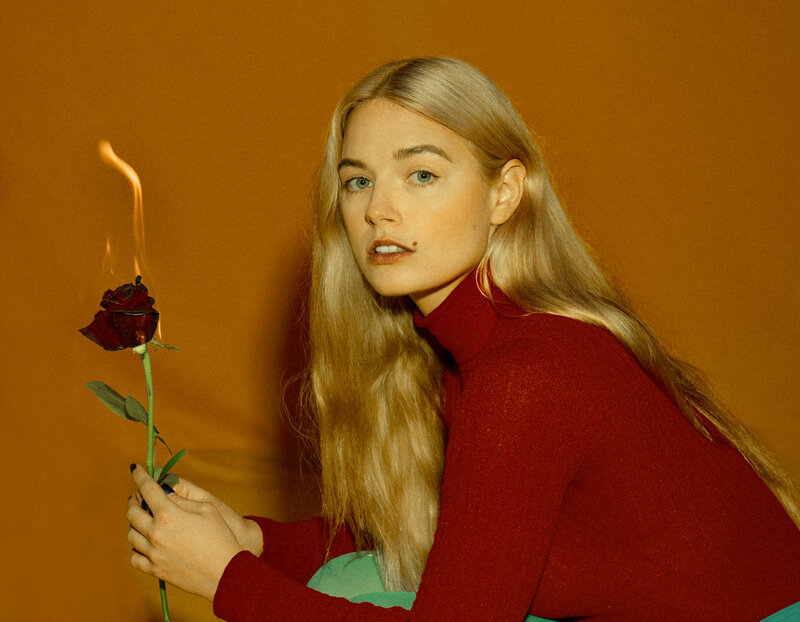 Ashe Releases Stripped Version of "Used To It"
If you've heard Ashe's debut song, Used To It, you know that it's electronic, funky, and danceable - the perfect song for summer. Now, Ashe has unleashed the stripped version of the song, which brings "Used To It" to a whole new level. Listen and download "Used To It (Stripped)" here and grab a free download on her site. Catch Ashe on Tour with Whethan This Fall! Ashe will be joining Whethan on his North American tour this fall. See her at some of the dates listed and to get tickets, check out the link below. In the meantime, listen to her debut song "Used To It" and check out her Spotify playlist.